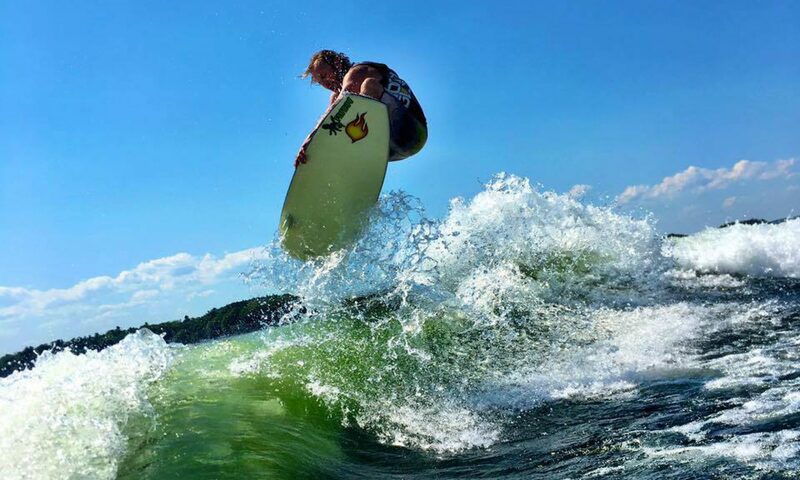 Please use this page to schedule your next hourly, half day or full day wakesurf lesson! A maximum of 6 paying passengers are allowed on the boat at any time. All passengers under the age of 18 MUST be accompanied by an adult, who is also required to sign on their behalf. Children under the age of 14 are required to wear a life vest at all times on board the boat. Check out our rates and be sure to complete our waiver. For hourly reservations, please book no later than 5pm. Half Days (4 hours) should start no later than 2pm. Full Days (8 hours) should start no later than 10am. Payment can be made via PayPal on the following confirmation page. Please contact us @ (802) 828-SURF with any questions prior to booking.